Looking to sell your car? Midtown Honda in Toronto, Ontario is looking to buy! At Midtown Honda in Toronto we’re always looking for quality used cars and used luxury cars to buy. No matter what the make or model of your car, we offer fair prices for buying your used car as well as instant credit approval should you decide you’d like to purchase a car from us! No purchase is necessary. 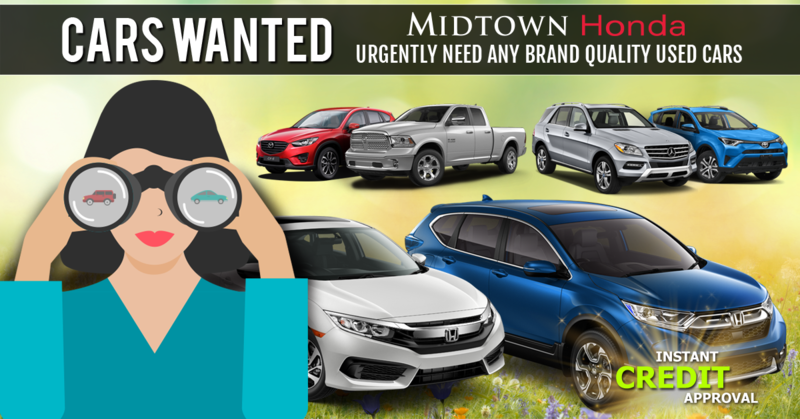 Stop into Midtown Honda of Toronto, Ontario today with your car and we will appraise and buy it on the spot!